With all the hundreds of weight loss programs out there, I want you to make the most informed decision you can today. Below are some of the most commonly asked questions about the Flat Belly Code Program. Please refer to this page before contacting me with any questions as it may be answered on this page. Click on each question to see the answer. What is the Flat Belly Code Program? The Flat Belly Code is a diet program that delivers rapid weight loss results while not making you count calories or cut out carbs. It is meant to easily fit into anyone's busy schedule. 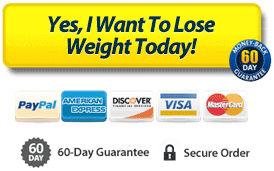 I designed this program after discovering some amazing and shocking things about weight loss. If this program could work for me, I knew it could work for ANYONE! Who Is This Weight Loss Program For? The Flat Belly Code Program is for anyone that wants to lose a little or a lot of weight and get healthy. It works for Men and Women. Whether you're a man and want to get lean ribbed abs or you're a women and want to get a tight toned belly, this will work. I get emails from male and female customers, young and old, all over the world, every day! It is incredibly simple to put into action and incredibly effective. In The Flat Belly Code Program, I'm giving you all the tools you need to lose as much weight as you want. Whether you just need to lose that last stubborn 5-10 lbs or you need to lose 50 lbs or more, this WILL WORK for you. I lost over 40 lbs and I've gotten emails from customers who have lost 50 lbs and more! No! That is one of the best parts of about this program. It is so easy to follow that you will be able to use what you learn for the rest of your life, staying slim and healthy forever. You won't feel like you're sacrificing your favorite foods or struggling to stick to the program. After 28 days you can use what you have learned to continue to lose as much weight as you want and to keep it off! Can The Flat Belly Code Program Work For Vegans And Vegetarians? Everything you learn in the program can be applied to Vegans and Vegetarians. One of the important parts of the program is making sure you get enough protein. While the meal plan I include does include meat and dairy products, you can substiture plant based products if you would like. The smoothies I include are 100% vegan friendly so you can also use those to replace any meal you want. Do I Have To Buy Expensive Foods Or Supplements? No! I was on a tight budget when I was trying to lose weight so I wanted to make sure that anyone on any budget could do this program. The foods in the meal plan are cheap and easy to find in your local grocery store. These food are much cheaper than all that "fat free" diet food out there. Do I Have To Do A Lot Of Exercise For This To Work? Nope! I am only going to ask you to do only 5-10 minutes of exercise at a time. You can do that right? You will be amazed at how such a short workout can literally melt the fat off you belly. Once you learn my sneaky trick about exercise you'll wonder why people even bother going to the gym! I wanted to make this program as easy to access as possible so there is nothing that comes in the mail. After you purchase, everything is downloadable to your computer, tablet or smartphone. The files are in PDF format so they can be read on any device. The price of the Flat Belly Code Program is only $37. The entire program is valued at over $160 but there is no way I was going to make anyone pay that much for what I learned. I wanted to make this accesbile for EVERYONE. That's one small payment of $37 to change your life. Plus this program will save you hundreds of dollars in the long run from not having to buy fake "diet" foods anymore and not having to cough up a monthly gym membership fee. How Do I Start The Flat Belly Code Program? To start The Flat Belly Code program, just click the button at the bottom of this page that says "YES, I WANT TO LOSE WEIGHT TODAY!" You will be taken to a 100% secure order form where you enter your payment details. Once you submit the payment information, you will be take to a download page where the entire Flat Belly Code Program will be waiting for you to downlaod immediately.